Since our founding, Acer has cultivated a people-first culture and a spirit of philanthropy. We continue to do all we can to use our skills and core competencies to give back to the community and light the way forward. Regarding social action, Acer focuses on the three main areas of education, the environment, and philanthropy, engaging in community work and charitable efforts by providing volunteer services and resources like products, technologies, and capital. We have developed long-term cooperative relationships with stakeholders including local governments, schools, and non-profit organizations, emphasizing the value of local experience and ensuring resources are put to the most effective use. We calculate that Acer's global community engagement investments in 2017 amounted to over NT$49.34 million. Compared with 2016, the amount of product and goods we have donated has increased by some 24%, while our long-term investments in the community have also increased over 2016 by 11%. In the future, we will continue to value the feedback and shared values that come through such efforts, and intend to move forward alongside society. Technology can hugely improve quality of life and open up new possibilities. Helping everyone enjoy the convenience and opportunities technology brings is one of our goals, and through cooperation between our global locations and non-profit organizations, we can extend the reach of technology to different groups. To promote IoT and coding education, Acer developed the Acer Cloud Professor line of products and courses, helping schools and students quickly grasp the essence of the Internet of Things and develop coding skills and knowledge they can take with them. To properly measure the results and benefits of this effort, we visited particular partners and users to understand the changes and impacts that participating in such courses have had on them or their organizations, thus assessing the social impact of Cloud Professor. This time we visited students, digital entrepreneurship teams, and principals/chancellors at universities, high schools, and elementary schools. Our studies found that Cloud Professor has had a number of social benefits on users and partners, including boosting learners’ understanding of and skills with the Internet of Things, increasing interest in learning, increasing self-confidence, stimulating students’ imaginations, cultivating their creation of items with market potential, helping with educational or employment advancement, helping with finding future career paths, and assisting startups with broadening business opportunities. Among these, students from the Southern Taiwan University of Science and Technology who participated in a Cloud Professor course then went on to make use of the concepts of cloud technology and the Internet of Things, together with medical cloud data, to develop the “uBag” smart catheter bag, winning the iF Design Talent Award for their work. Programming languages are the languages of the digital age and the lingua franca of machines. They are crucial to the literacy of the new generation and will provide new forms of organization, expression, and sharing of ideas for the people of the future. To help children in rural areas connect with the world, the Acer Foundation and Global Views Educational Foundation have joined forces on the “Reading for Hope x Cloud Professor Bookmobiles,” promoting the use Reading for Hope 2.0 digital resources in teacher training. The hope is to combine traditional hard-copy books with new-generation literacy in programming languages to open up a variety of new and entertaining learning experiences for rural children. In addition to physical books, these dedicated vehicles also carry Acer Cloud Professor IoT Smart Maker Kits (Cloud Professor + GigoToys 40-in-1 Building Block Set) as they travel from school to school. From the 2016 to 2017 academic years, the number of vehicles grew from one to four; the number of Acer Cloud Professor kits from 10 to 27; the number of towns and cities visited from eight to 17; and the number of teachers participating in training from 50 to a predicted 98. Shrinking the Digital Divide: Digital Mobile Vans Go! The digital divide between urban and rural Taiwan is substantial. Not only do students in more rural areas lack sufficient IT education and resources, IT education and planning for people with mental or physical disabilities are also severely limited. To bridge these divides, since 2010 Acer has operated the Digital Mobile Vans project with the cooperation of the Hanguang Education Foundation. 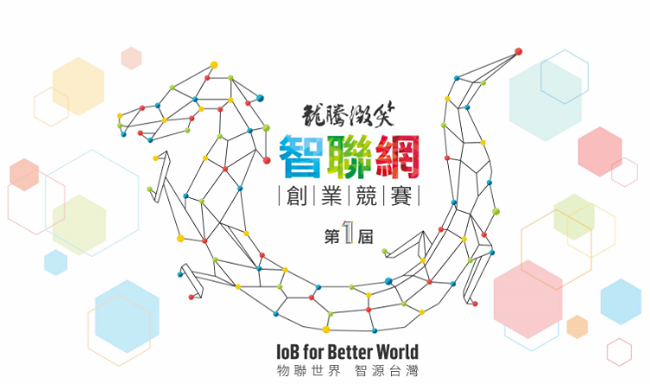 This project aims to bridge the information divide by bringing free computer education to groups in Yilan and Hualien that rarely have opportunities to engage with technology, including children, Aboriginal peoples, immigrants, and the elderly. 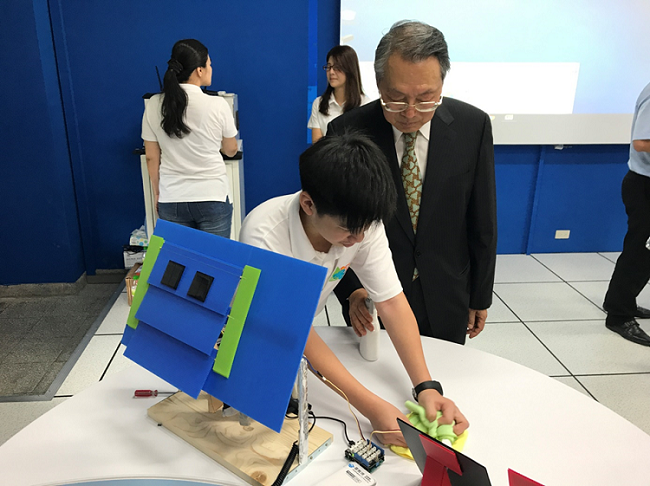 Through this project, we also hope to improve the technological literacy of people around Taiwan, fostering a good understanding of compute and the Internet while also creating more opportunities for learning and employment. We also encourage our staff to serve as volunteers, teaching members of the public about hardware, software, and the Internet, helping them become more competent users of technology. 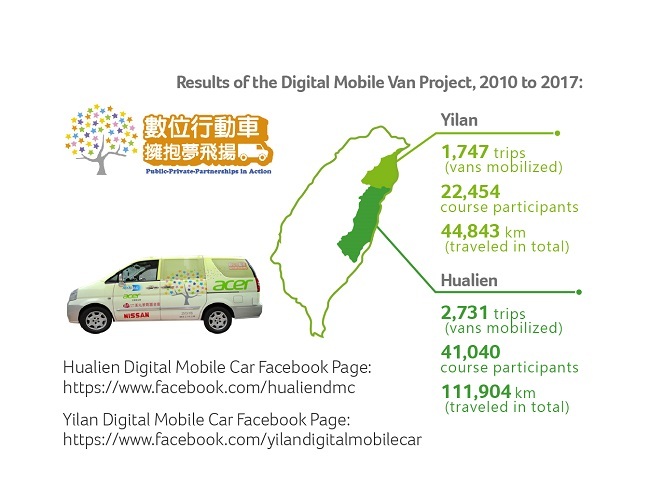 As of December 2017, since the project’s launch in June 2010 in Hualien and April 3012 in Yilan the vans had traveled a total of over 156,747 km, or far enough to have circled around Taiwan 156 times. Today's children are tomorrow's leaders and innovators. We want to help them tap their potential, using our accumulated experience in problem-solving to fertilize the future. Through organizing and sponsoring events and providing internship opportunities, we foster outstanding talent by providing children with awards, training, and exchange opportunities. We look forward to the continued use of our products and expertise to provide youth with better development opportunities. The Longterm Smile Competition is aimed at tertiary and postgraduate students and encourages the creation of innovations with market value by providing entrepreneurial guidance and a mechanism for innovation teams, industry, and academia to cooperate. Since its founding, the competition has hosted over 1,768 teams and become the collegiate entrepreneurship competition in Taiwan that offers the biggest prize. At the end of the competition, 4 to 6 teams are selected to be matched with venture capital. As of January 2018, a total of 132 teams numbering a total of 773 participants had registered, a 14.8% increase on last year’s 673 participants. We hope that through this competition, we will be able to continue to strengthen industry-academia cooperation on innovation, enhancing R&D capabilities and changing the world together. Given that we face the advent of an era of widespread connectivity, in June 2017 Mr. Stan Shih announced that the competition would be changing, becoming the Longterm Smile Internet of Beings Competition. He also proclaimed the contest open to any and all teachers and students eager to put forward entrepreneurial proposals connected to the Internet of Beings. Having seen how the Internet of Things and cloud technologies are shaping the future, the promotion and intensification of new technologies is a top priority. In response, the Acer Foundation’s Digital Creation Awards have transformed, becoming the BeingLife Creativity Competition, in the hopes of creating a platform for young innovators to come together and compete as they create innovative solutions to life’s problems through cloud technologies. 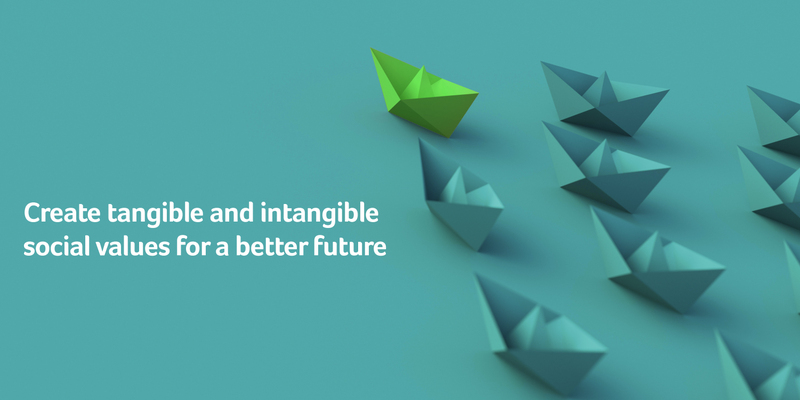 In this IoT age, the BeingLife Creativity Competition aims to stimulate new definitions of “being life” built on the concept of the “Internet of Beings” and user-centric approaches. 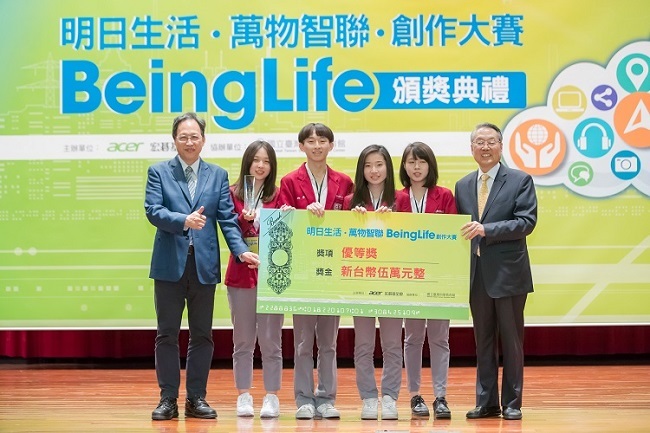 The results of the inaugural BeingLife Creativity Competition were unveiled in April 2017 at an awards ceremony held at the National Taiwan Science Education Center (NTSEC), with prizes handed out by Acer Foundation chairman Mr. Stan Shih and Dr. Chu Nan-Shyan, director-general of the NTSEC. The imaginative ideas developed by this year’s entrants included innovative ways to use cloud technology to address everyday issues like food safety, pet care, caring for the elderly, education and learning, the global environment, and transportation. From these enthusiastic entrants, we can surely see that IoT knowledge and the idea of the Internet of Beings are slowly but surely taking root along the educational path of today’s students. Not only do we provide the educational world with hardware that is both high-quality and reasonably priced, through skilled application of our products and technologies, we also help with the creation of digital education resources and give students the technological skills they will need to tackle the challenges of the future and make their dreams into realities. Acer has assisted the National Applied Research Laboratories National Center for High Performance Computing (NCHC) in establishing a rendering farm to help meet the needs of academia and the cultural & creative industries for large amounts of rendering. At the same time, we have also worked to foster talent in both the creative and digital content realms. 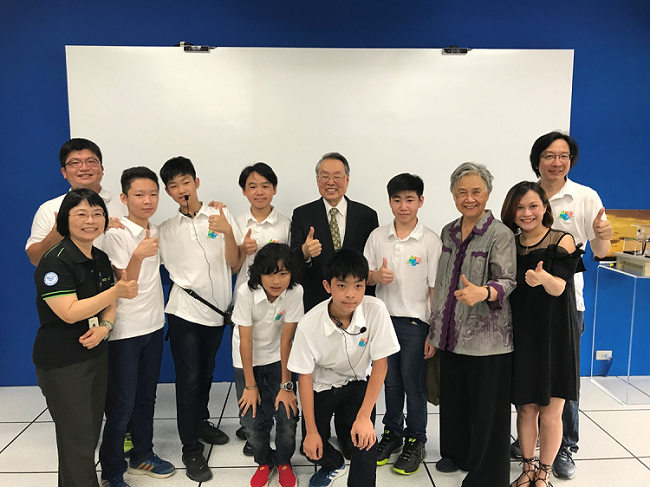 In 2017, Acer further provided support for the HPC 3D Animation Challenge, a national competition hosted by the NCHC and the Ministry of Science and Technology, with the finals and awards ceremony held in August at Acer’s headquarters. Working together, Acer and these government agencies aim to cultivate the interdisciplinary talent of the future and to witness a new generation of cultural and technological innovations take flight. E-sports has been officially recognized by the Taiwanese government as a “real sport,”included as a medal event in the 2022 Asian Games in Hangzhou, China, and is under consideration as a potential medal event at the 2024 Olympic Games. In 2017, Acer aided in the establishment of e-sports classrooms in schools including Providence University, Hsing Wu University, and Hujiang High School, as well as assisting with professional guidance and training around hardware setup. We have also launched a campus e-sports seed program, inviting teams from all campuses to join and hiring professional instructors for unboxing write-ups, word-of-mouth publicity, competition organization, livestreaming lessons and match tutorials. The training of such e-sports talent will help those young people eager to build a career in e-sports by providing them with a platform for information exchange and chances to put their skills to the test. Education is the key to change, but the lack of resources in some areas can negatively impact the quality of education available, impacting children's ability to access schooling. In 2017, we continued to contribute to the improvement of education through donations of products, study items, and funds. The best examples of such efforts for 2017 are the projects involving the Vietnamese Enabling Boat, Indian Society to Create Awareness towards Life and Environment, and Philippine GreenEarth Foundation from the Acer Corporate Social Responsibility Project Awards; for more information on these, please refer to the relevant sections of this report.